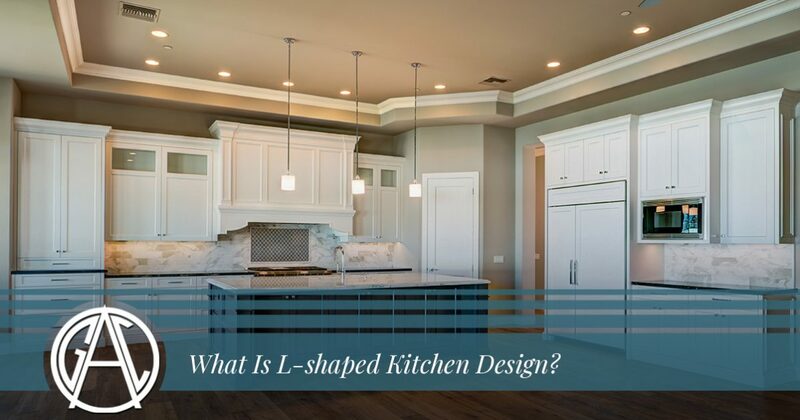 Kitchen Remodeling Newburgh: What Is L-shaped Kitchen Design? If you’re thinking about remodeling your kitchen, then you’ve probably been thinking about the pros and cons of different kitchen designs. While there are a variety of kitchen designs you can choose from, L-shaped kitchens are among the most popular designs we create. This video will provide you with an essential overview of different kitchen design ideas, including the L-shaped layout. When you have finished watching the video, scroll down to read a bit more about L-shaped kitchen designs specifically. If you’re interested in learning more about how we can help you with a kitchen remodel in Newburgh, then come by the Affordable Granite & Cabinetry showroom or give us a call at 877-778-2373 . As we noted at the beginning of this post, an economical and easy-to-access design is one of the major benefits of an L-shaped kitchen. One of the hallmarks of an L-shaped kitchen design is that all of the kitchen’s features are contained along two walls. The kitchen sink, the stove, and the refrigerator are all in close proximity to one another (these three elements comprise the kitchen triangle), making meal preparation easy and efficient. You also have ample cabinet space between each point of the kitchen triangle, providing you with easy access to anything you might need. Another major benefit of L-shaped kitchens is that they are convenient for small spaces. It doesn’t matter if you have a family, roommates, or live on your own — entering and exiting your kitchen is easy when you choose an L-shaped design, as they generally have at least two entryways. Moreover, L-shaped kitchens can actually make a small kitchen appear much longer due to their open and efficient design. While there are many advantages to L-shaped kitchen designs, there can be some drawbacks in certain circumstances. If you have a large kitchen with long walls, then an L-shaped design may not be the most efficient choice for the space. You might find yourself having to constantly walk back and forth between the points of the kitchen triangle, which can make even simple tasks take longer than they should. Another potential downside to L-shaped kitchens is that they can be difficult for multiple cooks to navigate. You’ve surely heard the phrase, “Too many cooks in the kitchen,” and this saying could very well have originated from two or three chefs trying to cook in an L-shaped kitchen. Because each point in the kitchen triangle is in such close proximity to the others, you will likely find yourself in the path of other cooks as you try to pull ingredients from the cabinets or put dirty dishes in the sink. While we’ve noted several drawbacks of this specific kitchen design, it is important to keep in mind that these are only drawbacks in some situations. Your home may be the perfect location for an L-shaped kitchen, but if you have a larger kitchen with long walls, then you may want to consider other options in order to ensure that you’re getting the most out of the space. We hope that this post will help you choose the ideal design for your next kitchen remodel. Click the button below to get started with a free estimate!